And so with another unashamedly promotional post, I am back to announce that the line-up for this month’s Friday Late has now been made public! From the fringes of the underground to the drag divas taking over the mainstream, this is a world where pretty much anything can be ‘queered’. Join us as we turn a queer eye on the Museum; challenging traditional gender roles and exploring the diverse worlds of alternative history, art, design, performance and politics. The programme for the evening can be found in full here and you can join the Facebook event page here. It has been a busy few weeks since we first had the proposal for an LGBTQ-focused Friday Late approved – From our initial enthusiastic barraging of the Friday Late team with (what must have seemed to them as endless!) lists of artists and performers that we would love to see in the V&A; through the focused development and clarification of the event’s theme; and considering the logistics of where/how/when for everything that will be happening … We are really excited about the eclectic programme we now have awaiting you this month! We also have to mention how thankful we are to Jen, the Friday Late co-ordinator, for encouraging us and helping to make all of this happen. The process of drawing together the final line-up has been an welcome opportunity to concentrate on remembering, researching, discovering and prompting the production of work by some exceptional, creative and knowledgeable people. This has been a rather an inspiring process as it has provided a powerful reminder of the eclectic variety of work currently being created by so many academics, artists and performers around the world. Our introductions to some of the people on the line-up have been rather eclectic too: in one case being blown-away by a rather unexpected performance whilst perched on a bar-stool, clutching a pint at the RVT; and another, seeing an author’s name across the cover of a book I’ve been solemnly told I *must* read. It’s impossible for me to try to pick out any favourites without then going on to list the whole line-up anyway. However, I am pleased at the range and diversity of the subjects and disciplines we’re managing to cover: from a hip-hop artist, producer and slam poetry champion, to discussion of activism in heritage sites, haircuts, cabaret turns, lost histories, interior design, dance, sonnets and more! 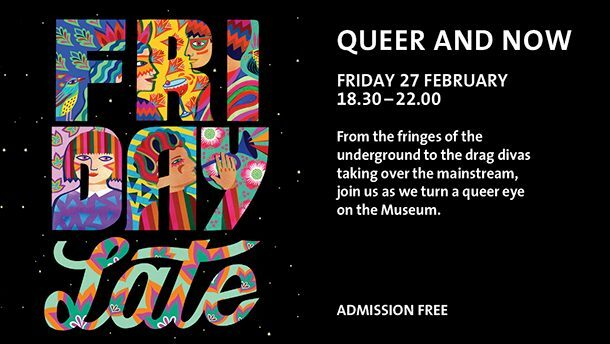 Not since 2009’s ‘Making a Scene’, has there been a Friday Late curated to so directly address Lesbian, Gay, Bisexual, Trans* & Queer histories and cultures. I had not been working at the Museum that long when ‘Making a Scene’ took place and I clearly remember the thrill of walking through the galleries that night, amidst such a visible celebration of LGBTQ identities, as artists, performers and curators explored gender performance and identity politics. 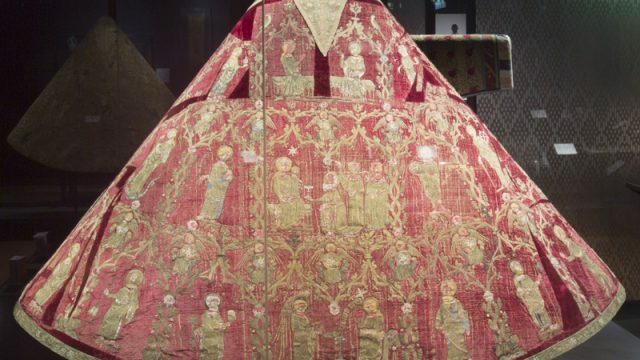 I hope that ‘Queer and Now’ will not just recall that same atmosphere of excitement and enthusiasm for queer cultures, lives, legacies and futures, in the context of today’s world(s), but that it will also highlight the breadth of ‘queer work’ in the Museum’s collections, entrenching it into the fabric of the V&A, not just for one night but forever!